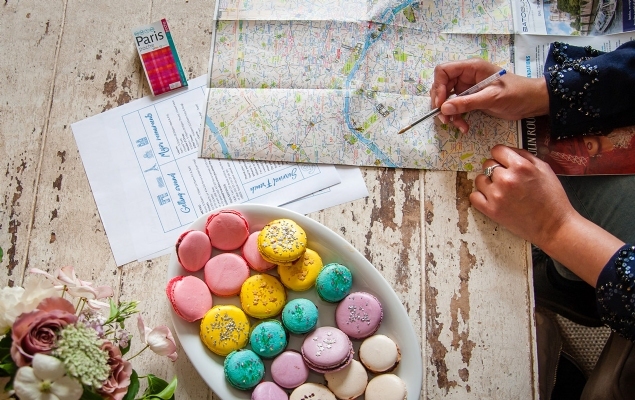 Planning a trip to Paris, but not sure where to start? Let our experienced Travel Design team help you customize your perfect holiday in Paris! From special excursions to fully personalized travel itineraries, we can help you create your dream Paris getaway. Paris is one of the most beautiful and exciting cities in the world! There is so much to see and always something new to experience, whether you are visiting for the very first time or making a return trip with family and friends! The aim of our Travel Design Team is to suggest and book the best tours and excursions during your perfect vacation. We are waiting to assist you in designing exclusive travel experiences specifically around your lifestyle and preferences. Our team knows Paris and will provide insight and inside connections as well as make seemingly impossible tasks look effortless. The Itinerary Planning service is for guests who know what they want and would like suggestions on their itinerary and day-by-day agenda. This can be compared to what a hotel concierge may do for you. We make bookings on your behalf and give advice on the best venues, tours and excursions. A great benefit of this service is that we check availability of the tours you choose and plan your itinerary with ease of travel in mind. All discussions happen via email and once your trip has been finalized you will receive a document detailing your complete itinerary, with all your vouchers attached. Please note that although you will receive a day to day itinerary, this is not a personalized and detailed service which includes traveling details and restaurants matched exactly to your preference. 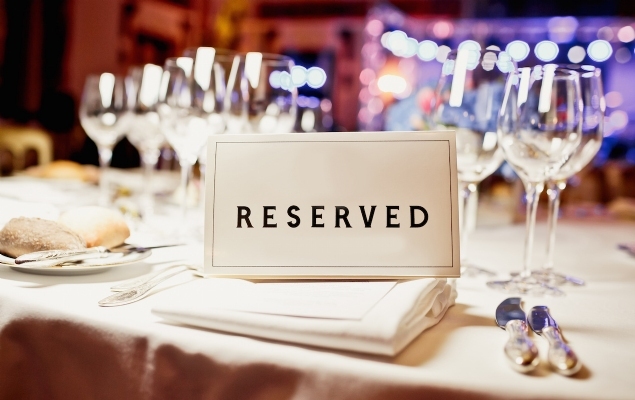 We do however offer a dinner reservation service at an additional cost. 7 Day Itinerary: €190 (NOTE: Additional charges for extra days or for last minute enquiries within 5 days of your arrival) - Contact [email protected] for more information. For shorter stays from 3 to 5 days the price is €100. Your Deluxe Itinerary service begins with a call from our Paris Expert to determine your needs and interests. We then collaborate with you to create a full 3-day, 5 day, or 7-day itinerary with a day-by-day agenda customized to your specific desires, incorporating all your “must see” sights while building a custom itinerary built only for you! This service also includes personally vetted and tried restaurant reservations. Not everyone likes to dine at the same places, and our expert will make sure you are paired with the best dining experiences for you. Deluxe itinerary planning includes a phone consultation, with email follow-up as needed to craft the perfect experience for you. Our Paris Expert has over 12 years’ experience planning phenomenal trips to Paris. Whether it is your first visit or you are a seasoned Parisian traveller, this deluxe service is the game changer in your Parisian holiday. Deluxe Itinerary: Up to 3 days: €150, 5 days: €250 and full week: €350 (NOTE: Please allow a minimum of 3 weeks for the Deluxe service) - Contact [email protected] for more information. Enlist our specialized and expert team and we will be happy to help you select your restaurants, based on your specific tastes and requirements. We’ll then secure your reservations for you, so you don’t lose time tracking down numbers and worrying about making bookings in French. Once you’re here, we’ll be sure to reconfirm everything in advance on your behalf, and keep you updated by email. All you need to do is turn up on the night and enjoy your meal! All restaurants booked and confirmed for your (including personalized restaurant suggestions). €50 for 3 days of restaurant reservations / €100 for a full week. Gregory and I really enjoyed our tours. All guides were well informed and extremely knowledgeable. Highlights were the Louvre and the Orsay. Jonathan brought to life and connected well all the periods of art history from Mesopotamia through Impressionism. We had a year course in 5 hours. We loved the Yves Saint Laurent museum. Thank you for finding these treasures. Judy Judy K.
Hi Rosa, We are at Orly, waiting for our flight home. We want to thank you all again for your generosity and kindness. Paris Perfect's constant attention to all the details and our continued comfort has made this journey a wonderful one that we will not soon forget. Merci! Karyn L.
Truly a "Perfect "vacation. What made a beautiful apartment into a spectacular vacation was the Travel Design team who created a custom itinerary for my husband and I and our two daughters. Every single guide from the Sweet Side of Paris walking tour to the private tour of the Louvre coupled with incredible restaurant suggestions as well as all the tickets given to us upon arrival for the 8 days made the vacation a memory our family will always treasure. The custom photo shoot at the end of the trip in front of the Eiffel Tower has given us amazing photos for the future. We will absolutely use Paris Perfect again and we are grateful for the team's kind attention to every single detail. Molly S.
We had an amazing time in Paris - many thanks to you for all the great recommendations and people you connected us to for tours. The restaurant suggestions were amazing -- it is as if you knew us so well and all we liked to eat. The woman who led our tour in the Louvre was so kind and did the tour in both French (for our daughter) and English for us. We loved her. Thank you so very much. This was the best family vacation we've had and had so much to do with your thoughtful suggestions and network of resources. Many, many thanks! Ramsey A. We are back home now from our wonderful trip to France. Thank you to the whole team for making it such a memorable experience for us. The restaurants were wonderful. The tours and tour guides were exceptional. They did a great job of working with our family and making it interesting for the kids and the adults. Highly recommend all of the guides. The cooking class was also a great experience. The day was so warm it made it hard to be excited about being in the kitchen and cooking but we learned a lot, and had good fun with it, Martha was very interesting and we enjoyed her. We look forward to working with you all again on a future trip!! Kristin V.
Dear Wendy, greetings from Canada! We are now back home, we had a wonderful time on our vacation. I will be recommending your services to others. I was nervous of course dealing on the internet and so far away. But I did not need to worry, the apartment was exactly as described, your services were provided as advertised, your staff went above and beyond before we arrived helping me compile our tours and that level of service followed through from the time we were greeted at the apartment to the time we were driven back to the airport. I appreciated the level of communication and attention to detail your staff provided... it made our trip so memorable. You have a good team in place and it shows. We met other Paris Perfect customers on our tours and they shared the same feelings and experience. We are already planning our return trip to Paris... thanks again, ever so much. Cathy L.